I’m bummed I missed it. What made up for being in my car instead of being with y’all was, to my overwhelming joy, a rock song about SNAKES ON A MOTHERF**KING PLANE, played on Indie 103.1. Thanks for the follow-up. I was *really* hoping to make it, but things got busy at work and they wouldn’t let me out of the bunker. 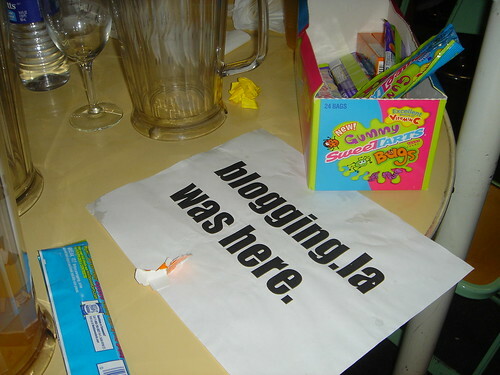 Thanks Sean, for all you do to support the cohesiveness and creativeness of LA’s bloggers.